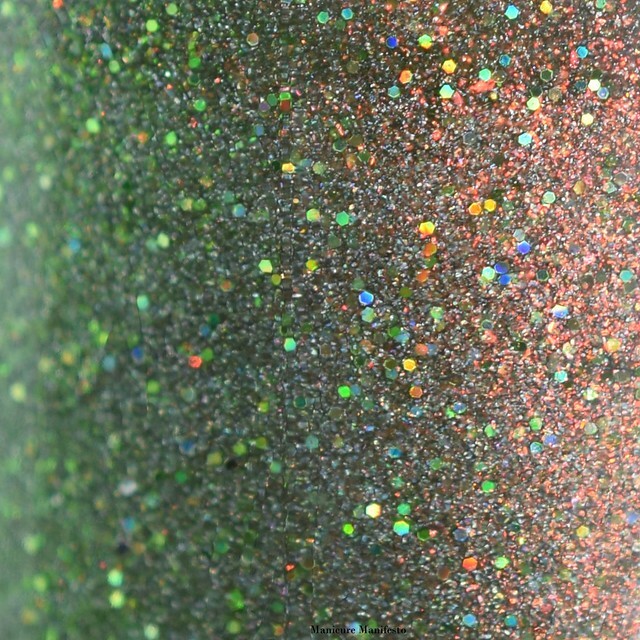 Priori Incantatum features a pale sage green base with a strong glowing red-orange shimmer, a sprinkle of scatter holo and small gren and gold holo glitters. The formula was excellent and took two thin coats for full coverage. Normally pale greens bring out strong red undertones in my skin, but this one didn't which was a huge bonus for me. 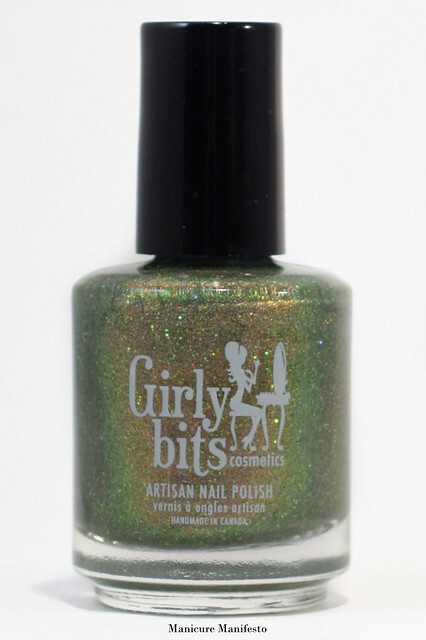 This dries with a bit of texture from the glitters so top coat is recommend for a nice smooth finish. 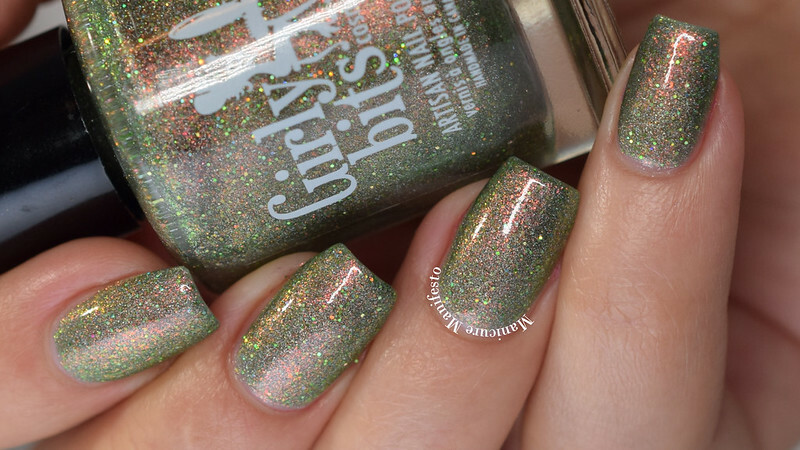 Photos show two coats of Priori Incantatum with one coat of Girly Bits Cosmetics Glitter Glaze top coat in daylight spectrum lighting.